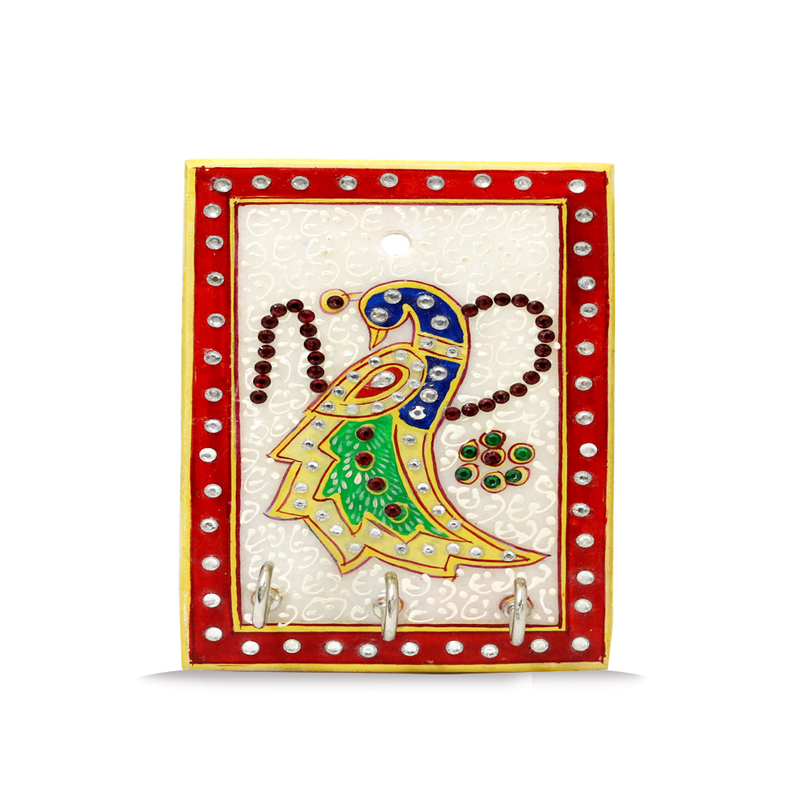 The three key holder is made of marble and is designed with meenakari work with great precision. This handmade work makes a great present for Read More..several festive occasions. The key holder is rectangualar in shape. The face of the peacock is beautifully illustrated with its head bowing down. the red border with stone work further illuminates this piece of showpiece. A flower design is made right beside the peacock for greater detailing. Show Less..